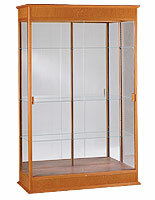 This Display Cabinet Comes with Lights for Glass Shelving and a Locking Slide Door! 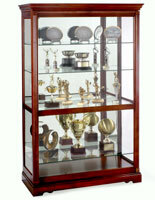 This Display Cabinet Is One of Many Easy to Use Display Cases for Sale Here! 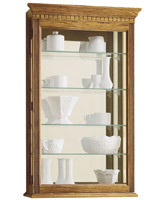 Individual shelf lights for a brighter, more natural way to showcase your items. 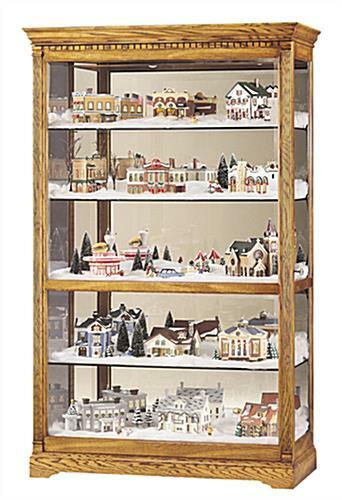 A side-to-side, sliding, locking door for easy access to your collectibles. 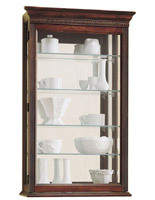 Extra thick, adjustable glass shelves to allow versatility in collectible height and weight. A beveled-glass front for added elegance. Plate grooves ensure the safety of dishware and other vertically oriented items. 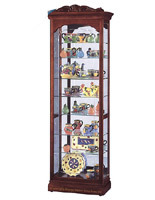 Built-in levelers to help steady the display case on uneven or thick carpet surfaces. 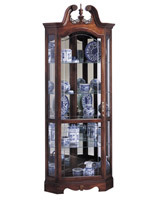 A side-opening door to provide easy access to your treasures. 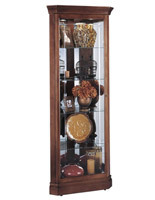 This curio cabinet is an perfect display cabinet. The Parkview continues to be a favored with homeowners, schools, libraries, churches and firms. 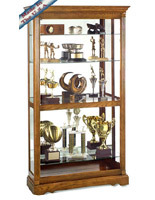 A traditional look with solid hardwood construction renders this display cabinet an perfect accent for your home. 50.0" x 80.0" x 21.5"